Thirsty Pilgrim: Session Beer Project, Belgian Chapter. I've long had a thing for low-alcohol beers. I mean, I like them. Maybe because I can drink more beer before losing control of whatever organ it is that moderates the use of my mouth. Which one is that again? You know, the mouth-moderator thingy. Oh I assure you, I have such an organ. Even if it seems like I don't. I'm not a fan of tact, really, but I at least like the option of using it. In the Woman's presence, mostly. What? Oh yeah, low-alcohol beers. Session beers. You can drink a lot of them. You can drink them with lunch. Hell, drink them while you work. They are largely unappreciated in these days of barrel-aged-quadruple-imperials. They tend not to rate well on websites that do such things. But they need more attention. Because they're really useful. Some of them are even very, very good. 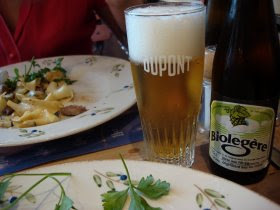 In Belgium I'd steer you first toward Dupont Biolégère (3.5%). Note my careful use of accents. 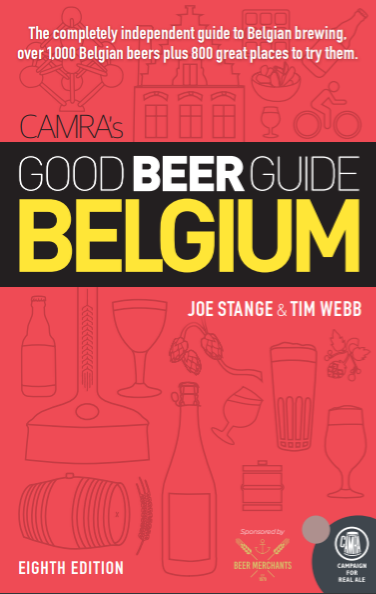 I would have mentioned Senne's excellent Taras Boulba and Stouterik first, but they're pushing the session-beer definition at 4.5%. Still worth mentioning. Repeatedly. The same brewers' Saison de la Senne, blended with Cantillon lambic, weighs in at a lean 4.3%. But it tends to be hard to find and expensive so it would be a rare session indeed. Another recent discovery is Ridder (2.25%) from the Leroy brewery in West Flanders. It's a wet beer but does have some refreshing hop bitterness to it. I'll keep looking. In the meantime, have a look at Lew Bryson's Session Beer Project. This is a grassroots campaign, so participation is simple. If you are a drinker, look for sessionable beers and drink them. If you own a bar, serve them. If you are a brewer, make them. But make them good. And otherwise, just spread the word. You're a good man. I fully support session beers. I need something I can have before work that won't make me tired. Just someting to sit back with. And with lunch? That sets you up for the best day ever. Although, I do have to admit that towards the end of the day, I'm not as particular. At the end of the day, anything usually sounds good.